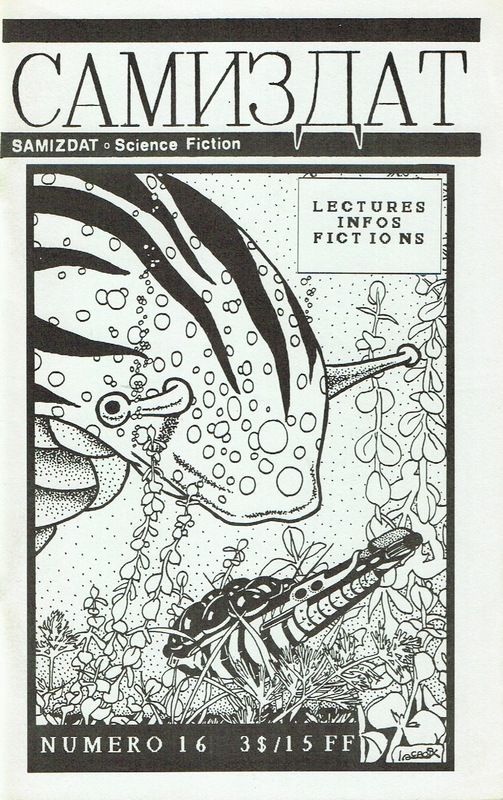 I was recently googling to kill time and ended up searching entries about my old SFQ fanzine, Samizdat. That’s the period of my life where I think what I wrote, published or did had the least impact on the universe. 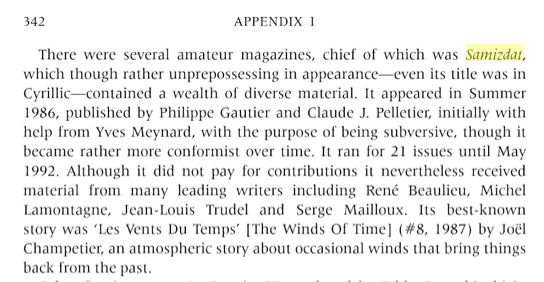 However, I was surprised to discover it was mentioned in quite many places. 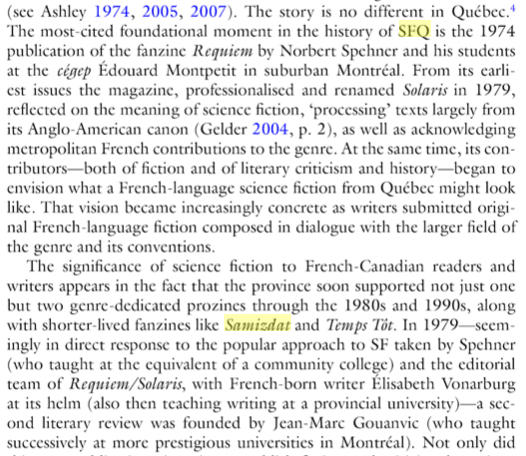 Of course, it is one thing to have SFQ insiders like Yves Meynard, Jean-Louis Trudel or Claude Janelle mentioned it when they talked about the history of the genre in Quebec, but I was impressed to see it mentioned in a couple of British academic publications like Science Fiction Rebels by Mike Ashley (Oxford University Press) [Amazon, see extract bellow] or New Directions in Popular Fiction edited by Ken Gelder (Palgrave/MacMillan) [Amazon, extract]. All I need now is my own entry on Wikipedia !